One of the last editions of one of the most unusual and decorative pocket maps of New York City to appear in the 19th century. This map was drawn and engraved by J. M Atwood based upon J. H. Eddy's 1811 map of a similar name. Colton's success with this attractive map was such that it was issued in various editions for over 50 years. Haskell notes eight different editions between 1846 and 1873 and Rumsey has a variant dated 1891. 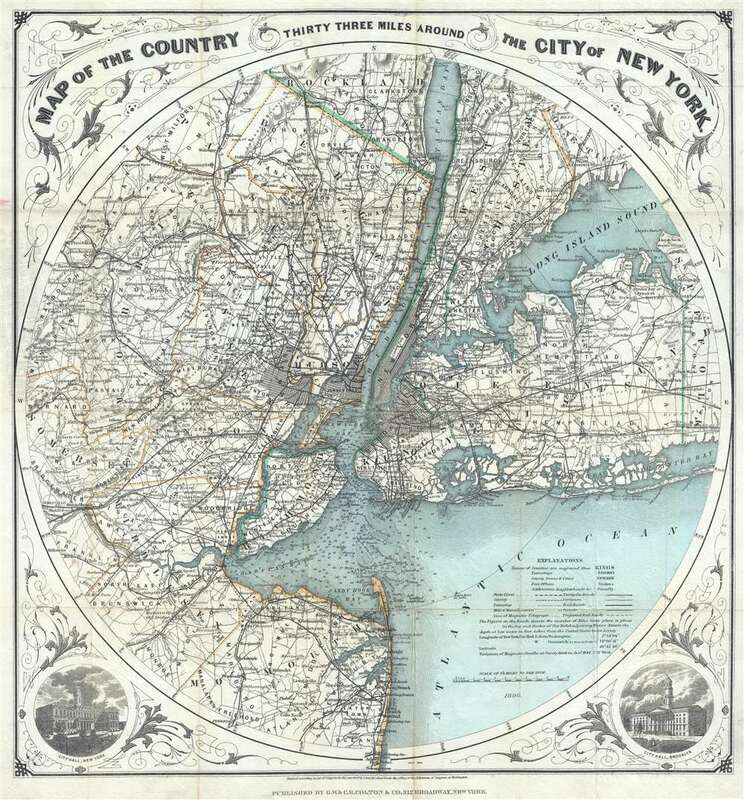 The present example exhibits the updated and moderinzed border design as well as the more sophisticated cartography that Colton's son's, G.W. and C. B. Colton introduced in 1889. The preset variant is far rarer than most earlier editions. Dated 1890 at the base of the map, below map proper. Below this, at the base of the map, the copyright reads: 'Entered according to the Act of Congress in the Year of 1889 by G.W. and C.B. Colton and Co. in the Clerk's Office of the District Court of the Southern District of New York.' Published by the Colton firm, from their 312 Office in New York City. Very good. Backed on archival tissue for stability. Blank on verso. Accompanied by original binder.